No need to read any PDF eBooks or digital eBooks. This software will read and speak you everything, you have to just listen to it. A few days ago, I shared an article about “Talking software by using notepad, it is very easy to talk with Notepad“. You can read it. Using that way, you can do this. Alternatively, you can use text to speech software to speak the written text with your computer’s speaker. The name of this software is “TextAloud“. With this application, you can hear any text. A few days ago, I shared a text to speech software for Android. If you want to hear any text, then you can do it using Microsoft Word 2013. I have written an article about it “How to add speak option in Microsoft Word 2013“. 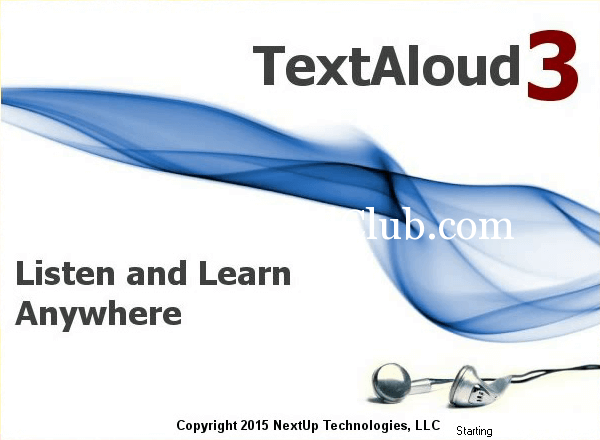 Welcome to TextAloud, the world’s most popular Text To Speech tool. It uses voice synthesis to create spoken audio from text. You can listen on your PC or save text to MP3 or wave files for listening later. Even better, if you have a portable audio device you can take your text as MP3 files to the gym, in your car, or anyplace you need to go. 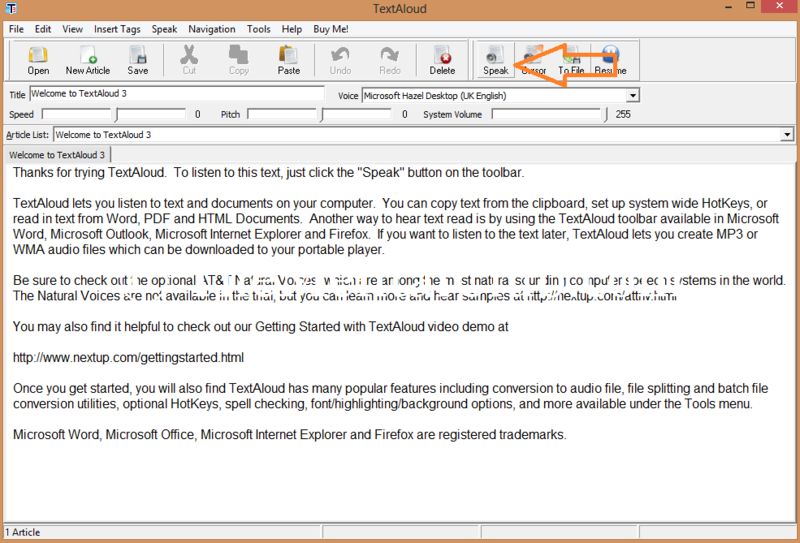 TextAloud 3 is a Text to Speech software for the Windows PC that converts your text from MS Word Documents, Emails, Web Pages and PDF Files into natural-sounding speech. You can listen on your PC or create audio files for use on iPods, iPhones, and other portable audio devices. TextAloud 3 even has automatic iTunes syncing. #1 Amazon Polly – App from Amazon, Available to try & buy. #2 AudioBookMaker – this is a freeware software, no need to buy. #3 ReadAloud – App from Optimilia Studios, available in Windows Store, this is a free software, no need to buy. #4 Zabaware Text-to-Speech Reader with CereVoice / Ultra Hal Text-to-Speech Reader with AT&T Natural Voices – both of these are the very useful software by Zabaware. But, you’ve to buy for using these. #5 Text to Speech Maker – This is also a free software, you’ve no need to buy it. #6 ESpeak – It is a freeware (Open Source) TTS program. You’ve no need to buy this app for using it. #7 Verbose Text to Speech Software – A paid software by NCH which converts text to audio format. #8 Read4Me TTS Clipboard Reader – It is a beta version of TTS software. You may try this. #9 Google CLOUD SPEECH API – A Powerful Speech Recognition tool from Google. The API recognizes over 80 languages and variants. You may try this for free. #10 TextSpeech Pro – An award-winning professional TTS software. You may convert any text into natural human voice.